2014 went so fast that I’m still recovering from whiplash. I know I’m not the only one who feels this way though. When I look back at my Instagram posts I am reminded that though the year flew by, I didn’t just sit around and not blog. LOL! 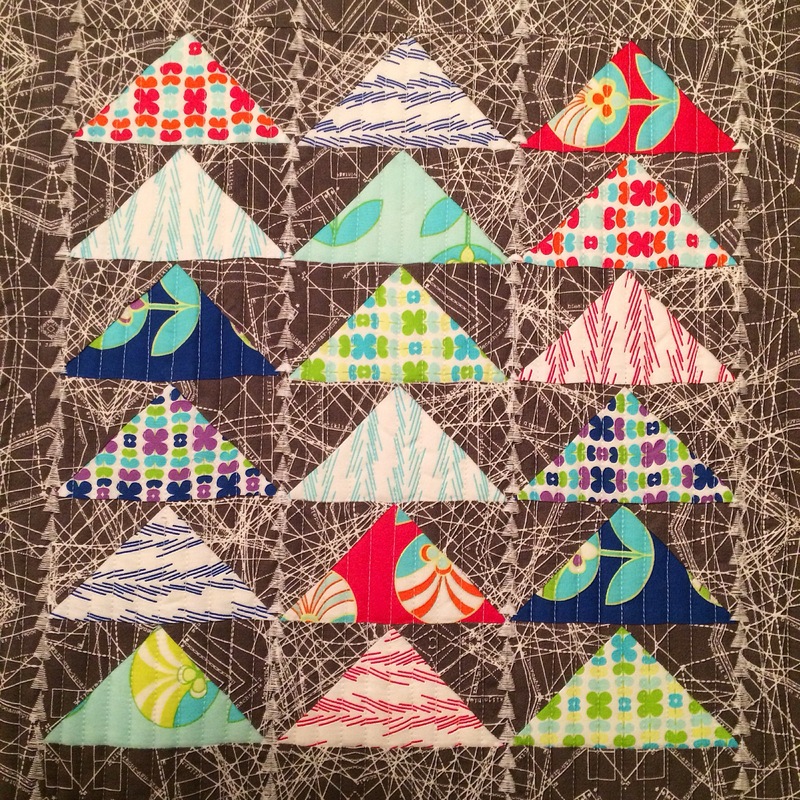 I had 62 finishes of quilty goodness in 2014!! There may have been a project here and there that I didn’t record on Instagram, therefore I don’t really remember them, but 62 is impressive enough in my opinion. Hubby couldn’t believe it when I told him and my sister admitted to shedding a tear when she saw my Flipgram of my projects. What I did learn in 2014 is to remember to not just take pics of the progress of making things. I must remember to always take a pic of the finished product and IG it. 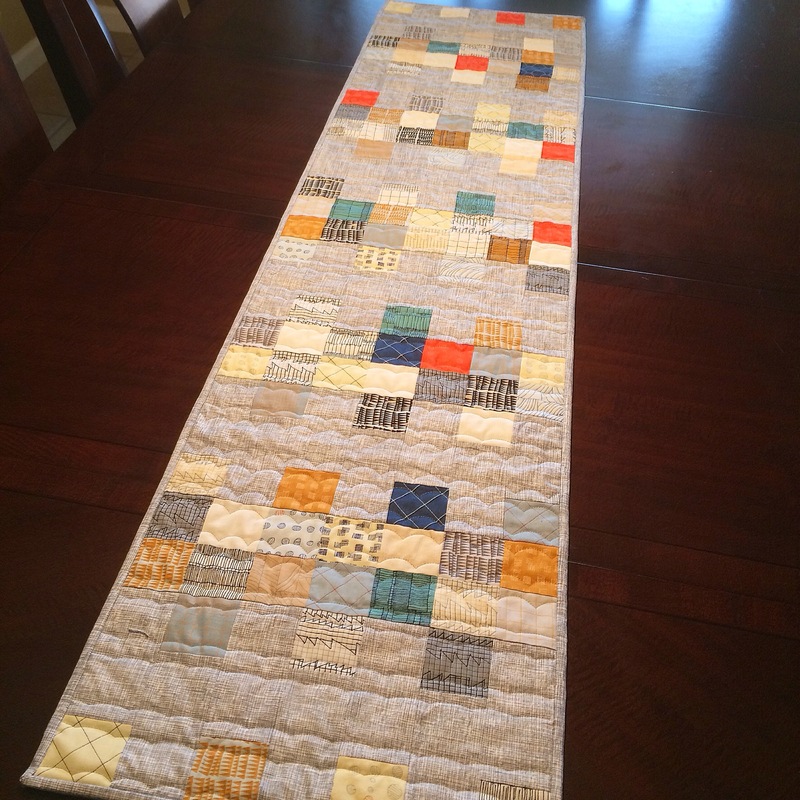 So far in 2015, I have made two pillows for my sister, three pillows for my own couches and a table runner for our dining room table. I have also completed the first two months of the “Threads of Time BOM” from Fat Quarter Shop and the last three months of blocks for Stitchery Dickory Dock’s “Sugar Block Club 2014”. My goals for 2015 are to finish the PhD’s (Projects Half Done) that are haunting me from the corners of my studio, work at designing and developing my own patterns and blog more. If I can do the first two things successfully then I will call that a successful year! 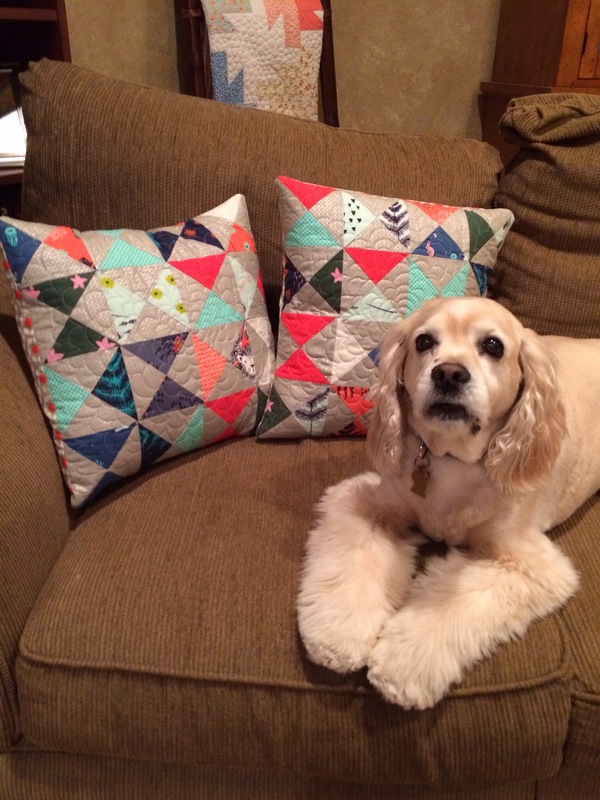 Below are pics of the pillows and table runner I have made this month. Next Post Never Say Never!